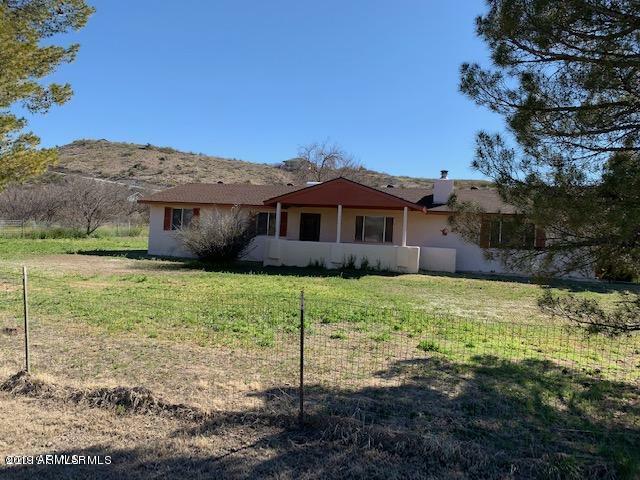 All Camp Verde homes currently listed for sale in Camp Verde as of 04/25/2019 are shown below. You can change the search criteria at any time by pressing the 'Change Search' button below. "A true equestrian estate with a 2,519 square foot residence and 1,540 SqFt. 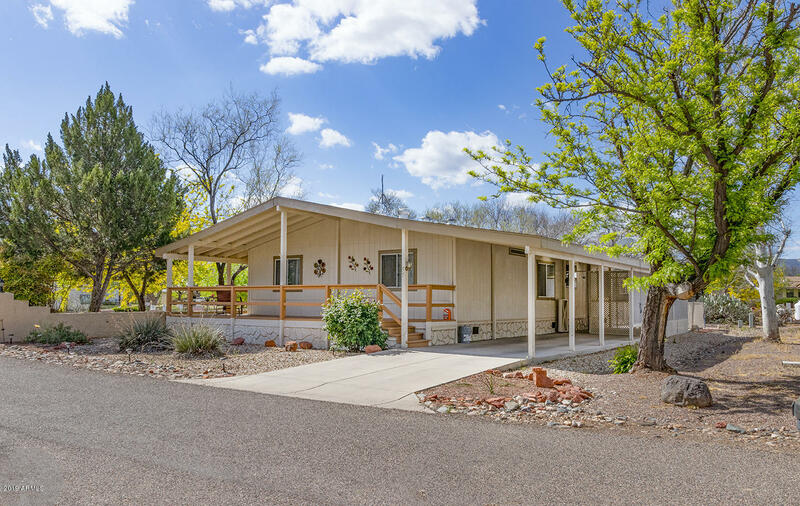 3-bedroom guest house an abundance of over 20 acres of privacy on the Verde River, one of the Southwest's last free flowing rivers! You are only 1 hour 15 min., to Phoenix, 30 minutes to the red rocks in Sedona and about an hour to high country, Flagstaff. This well-manicured supreme property backs to protected US Forest Land. 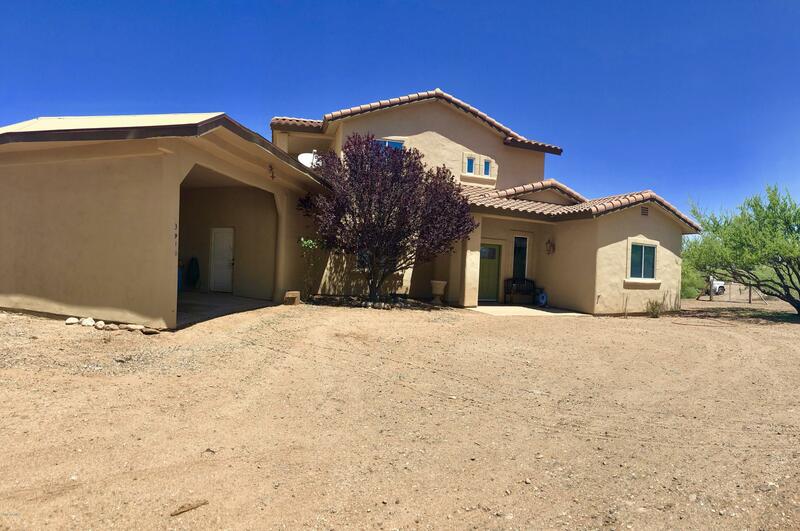 With ample water for two homes, horses, grazing pastures; orchards of trees and more, these"
"This is a beautiful home in an even more beautiful setting with mountain views. 2 homes, 1 to live in and 1 to rent out! The main home is natural stone and wood construction and the inside boasts natural timber, copper island top and accents. You can relax enjoying your surroundings on the upper deck or on the stone patio below. Take your pick! If you would like to work outside, you have a 2 car attached garage, and a 4 car detached garage with a workshop! All newer windows have been installed "
"Custom built home sits on a beautiful property in a serene location. Master bedroom with full bath is in the first floor and 3 additional bedrooms in the second floor. Property is nearly 5 acres, which goes down to the west clear creek.This is a very quiet neighborhood surrounded by marvelous views. The house is very clean and well taken care of. Home was custom built in 2006 and has its original owners. 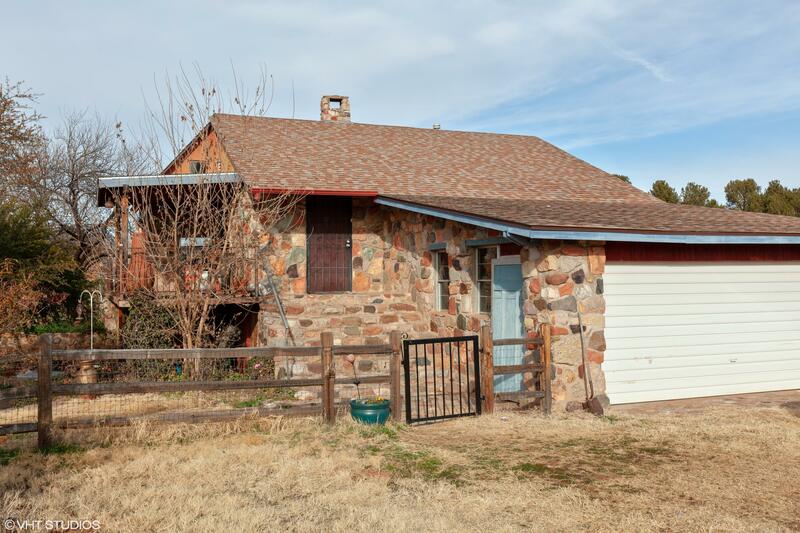 Second floor features a loft which opens to the outside with beautiful views of the mountain"
"1.02 acre Horse property located next to 7.5 acre wilderness area. Nice mountain views. 2 block walk to the Verde River, trail behind house offers horseback riding or ATV ride to Flagstaff. Barron Indian Ruins only 45 minute horse ride away. Enjoy the peace and quiet sitting on front deck porch. Horse features: arena, allows for 4 horses, corral, covered stalls and open covered 3 wall. Easy for storing feed and tack and convenient to feed in any weather. Concrete feeding pads. 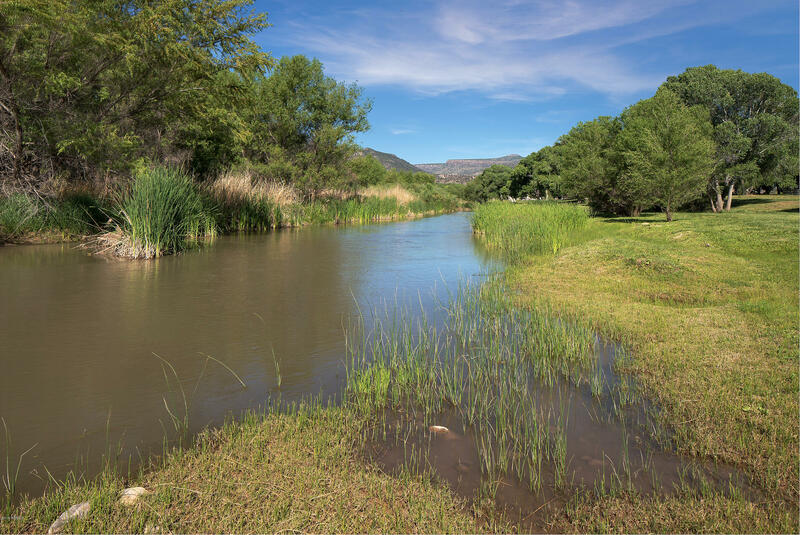 Electric & water a"
"Large AFFORDABLE option in Camp Verde's Willows retirement community! Park amenities include: a clubhouse, fitness center, game room, tennis & bball courts, horseshoes, shuffleboard - even a putting green! This 3b/2ba split floor plan home has an open living room & kitchen. Eat in kitchen space has inside laundry & a rear exit to its private back patio. Outside storage closet off the patio is wired & big enough for a personal workshop! The beautiful wrap around front porch was recently sanded, s"